It's not my intention here to Papa John you with my political beliefs. Many people were offended by his political text messages. I just want to vent the frustrations I have when I see things that make me say, "What the heck?" So please indulge me in this outlet for my personal gripes about life. Some people ask me about tipping our drivers. We pay our drivers a small hourly wage and they are reimbused for the gas they use. The delivery charge only covers a small portion of what this costs the operators. The delivery charge that we add to your order does not even cover the drivers' wages and gas. Drivers are treated as tipped employees and their hourly wage is less than minimum. They are counting on tips for prompt and courteous service. I thought this article was interesting. It's one guy's opinion. A well known competitor of mine has recently admitted they were not baking their pizzas. In an effort to give the fastest delivery possible they forgot that you may want your pizza to be cooked. This huge chain is known for delivery in less than 30 minutes. Really! I just saw the commercial where they said are slowing their ovens down to bake the pizzas properly. About friggin' time. Now you know why you felt sick to your stomach after eating the small amount of raw dough that remained uncooked in their pizzas. Decades ago, back when I first opened MrJims.Pizza, I discovered that the most important part of the final overall enjoyment of our pizza was baking it properly. I only had two stores at the time I realized how important it was that a pizza be thoroughly cooked. Well it's only taken them 37 years to catch up with me on that. This was so important that I would always have the best guy working the ovens. That was the most important job in the store. That discovery lead to many years of research on my part to find ovens that would consistently bake the pizzas exactly the way I wanted, even when I couldn't be there. I went to the test kitchen of the patent holder of conveyor convection ovens [a new technology at the time] and worked with his engineers to develop a fool proof method of ensuring you get a fully baked pizza every time. I will always continue to research for any possible way to improve your MrJims.Pizza dining experience. Be on the lookout. Pretty soon they are going to realize something the I learned four decades ago. That 100% spring wheat flour with its high protein is the best flour for making pizzas. Of course, since it's more expensive, it may be a while before they come to that conclusion. With Domino's® admitting that they never fully baked their pizzas and now Pizza Hut® admiting they never let their dough fully develop I feel vindicated by my insistance that we fully proof our dough (let it rise) and have been fully baking it for decades. For decades I have adamantly insisted that our dough be made in the stores, never frozen, fully proofed and properly baked. This has been the cornerstone of MrJims.Pizza since the very beginning. Now the Hut is offering seasoned crust too. I wonder where they ever got that idea. Well, of course, all of you have known that MrJims.Pizza was the best tasting pizza; although you may not have fully understood why it was. I have had a section in the MrJims.Pizza Operations manual for decades explaining that the most important factor is properly baking the pizza. Even in the training video I spend time on the importance of this point. 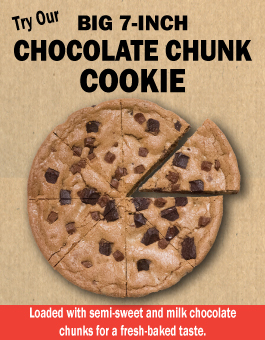 Well I see Pizza Hut has finally realized that there is a market for a pizza that has less calories and fat. Duh! That's why we brought out our Pizza D'Lish over 3 years ago. We've been selling a lighter pizza for years now. Many of our customers prefer a lighter pizza. We used to sell only a loaded pizza. If you get an Orginal Pepperoni Deluxe pizza you will have blown your diet for a month. It tastes fabulous but thats because of that high calorie juicy goodness. You can't eat like that everyday. Well I guess I should be flattered that they are willing to copy what I have been doing for years. But they have such huge marketing dollars they can drown out anything I can do or say. Well at least I know that I was first to offer you the pizza to fit the life you live. Our proprietary Order Entry System has had one account for our customers' orders since 2008. Once you registered Online or we took your first order in the store, there was only one account for you. Our new rewards program released in Jan 2016 combined points. We do give twice the points for Online orders as call-in orders. And there's no extra steps to join our rewards program. If you call-in an order to the store you earn points on that order and any future orders get points too. [It is tied to your phone number or email address.] You aren't even aware of the fact that your in. When you earn your reward we send an email to you or let you know on the phone.